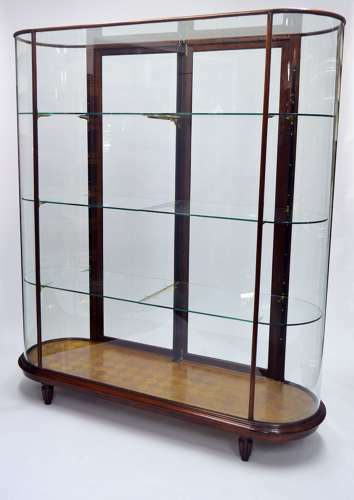 This is our tall double bow ended shop display cabinet, with two opening doors and two adjustable shelves but more can be added. It has a beautiful parquet floor and sits on wooden legs. It can be made to various sizes depending on your desired measurements - email us to discuss quotes.